Many a football fan has chronicled the life and times of his or her club by collecting newspaper and magazine articles, memorabilia and anything else they could get their hands on and gluing them lovingly in a scrapbook. We're glad that Cambridge United supporters have done their share of cutting and pasting over the years. 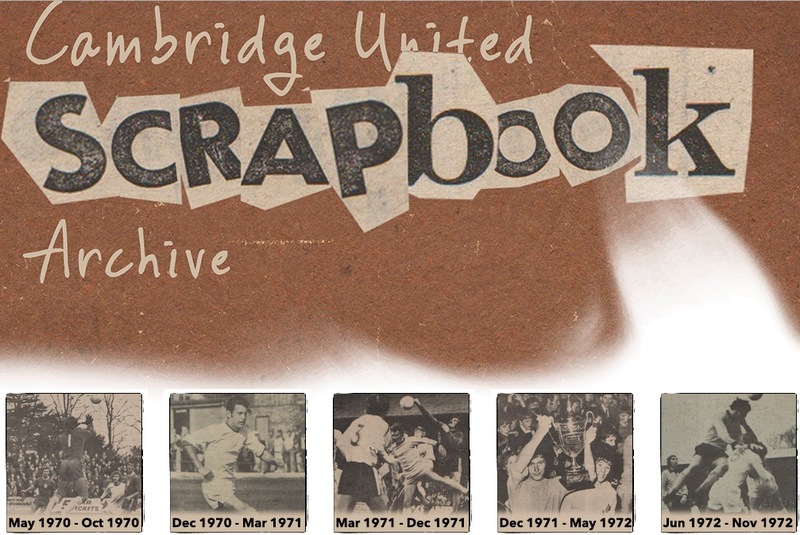 Here you can browse through supporters' scrapbooks, in digital magazine format, that give a deep insight into the ups and downs of an extraordinary decade for the U's – the 1970s. Click here or on the image above to go to the external site. Further scrapbooks will soon be available to view on 100yearsofcoconuts.co.uk, and more will be added in digital magazine format.